Meg's Food! | Spicy Vegan Zucchini Cornbread - Meg's Food! Seriously though. There are basically two schools of thought. You have the classic southern cornbread, made with very little sugar (usually about 1 tbsp) and either almost none or no flour at all. Then you have the northern cornbread, which is made with more sugar and flour and is cake-ier in texture. I’m more partial to the southern variety. In fact, the best cornbread I ever had was at a hole-in-the-wall restaurant in Birmingham Alabama. I’m pretty sure it had bacon grease in it but it was so good I didn’t even care. 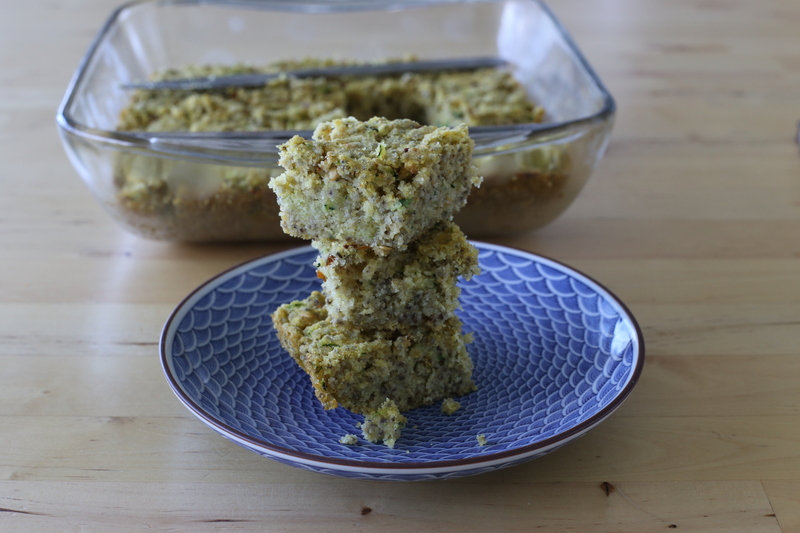 This cornbread is more like the southern-style cornbread, although it’s anything but traditional – it’s not only vegetarian, it’s vegan (and gluten free)! I used chia seeds as the egg replacer here. Chia is great in baked goods because it’s flavourless, so it lets your other flavours shine through. It also adds a healthy dose of omega-3s to whatever you’re baking! 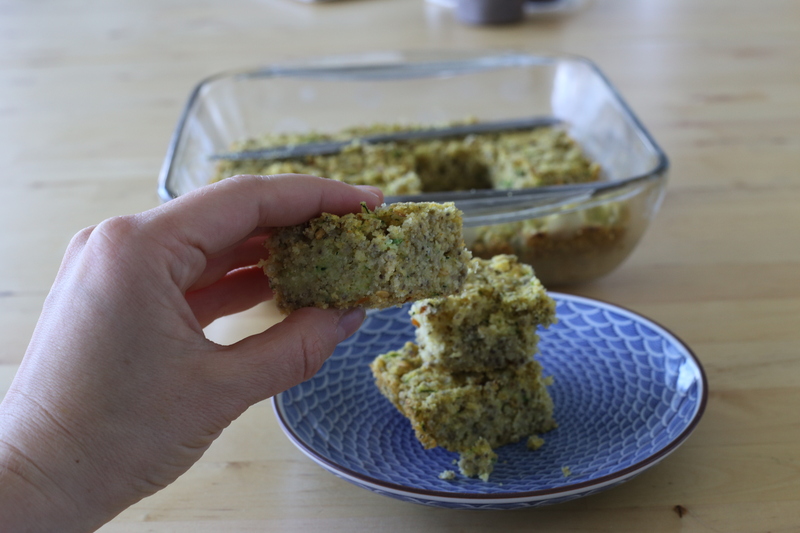 I threw some zucchini into this cornbread because there is just SO much zucchini right now (yay August!) 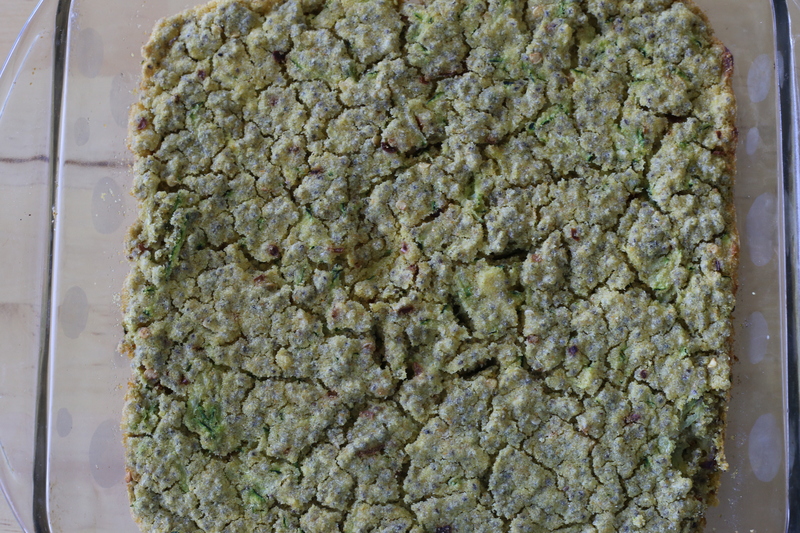 and to add a little green to this bread. I used the full 2 tsp of chili flakes but you can use half or just leave them out if you don’t want this to be super spicy. Use any plant milk you’d like – I used oat milk (homemade!). This cornbread is spicy, savoury, and the perfect accompaniment to whatever you’ve put on the grill. Preheat oven to 400 and grease a 9 inch skillet or baking dish with a knob of coconut oil. Combine chia seeds with 1/2 cup water in a small bowl and set aside until chia seeds gel – takes about 10-15 minutes. Meanwhile, combine cornmeal, corn flour, baking, powder, baking soda, salt, and pepper flakes in a large bowl. Whisk together milk, vinegar, oil, and maple syrup in a smaller bowl. Whisk in gelled chia seeds and whisk so that there aren’t any large clumps of chia seeds. Pour into dry ingredients and fold together in as few strokes as possible. 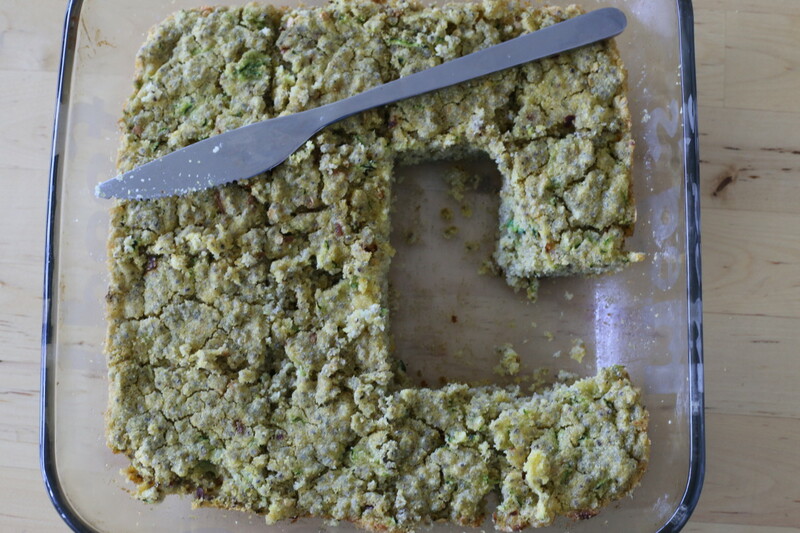 Fold in zucchini. Pour into prepared baking dish and bake until top is springy and sides are golden, about 30 minutes. Let cool and slice. 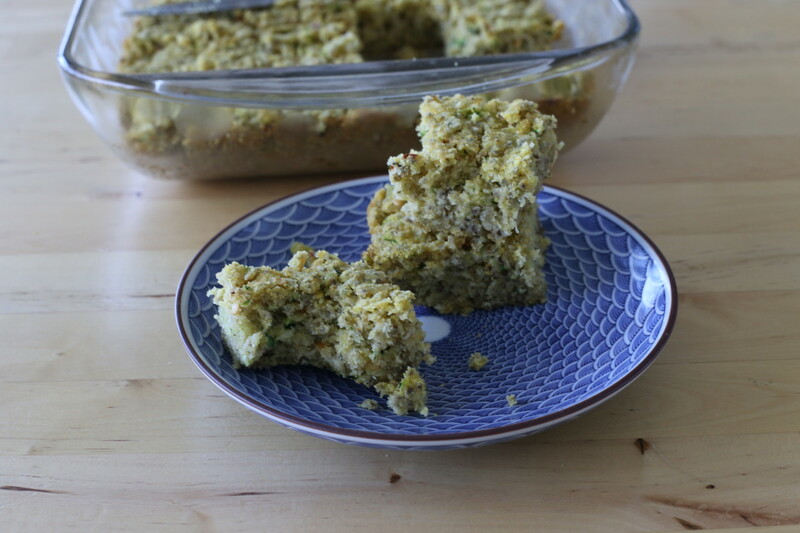 This entry was posted in Snack and tagged cornbread, gluten free, summer, vegan, zucchini. Bookmark the permalink.